Zwetschgenkuchen - German plum cake from this recipe using South African Flavor King plums - I think flavorking should be a verb - the 2014 equivalent of 'twerking'. When your trying out/ inventing new recipes you're 'flavorking'! Flavor King plums taste like a cross between plums and apricots and have a bubble gum type flavour - so nice, so morish! 25 year + investment! Promise of high returns, but also such a risky business - who knows what demand and the market in general is going to be like in 25 years? They are taking a leap! Also so many other factors involved - exchange rates, seasonality: the South African stone fruit season is in the UK winter so we don't naturally think of buying plums, nectarines, peaches etc because for us they seem out of season at that time, whereas in fact they are peaking and so amazing! 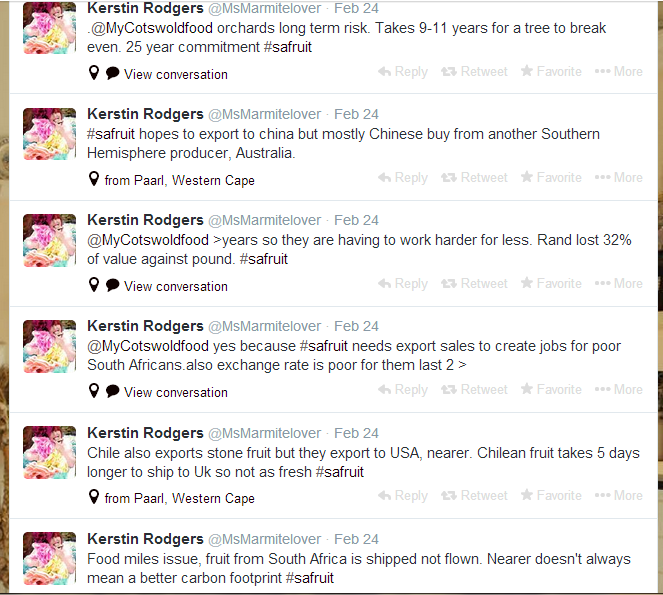 Add in that our fruit consumption is actually going down anyway, pest control, other stone fruit markets which could increase their yields (China, Australia, Chile etc) and it's a really tough business! 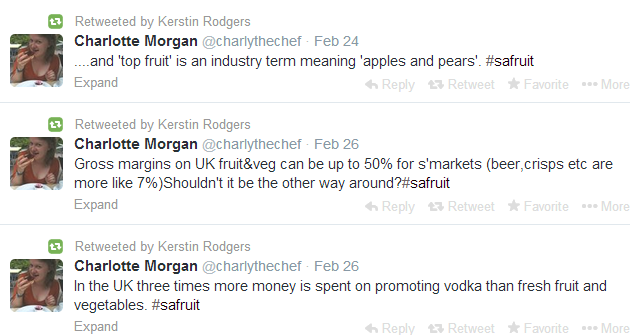 Pretty sad isn't it - 3 times more money spent on promoting vodka than fresh fruit? But also telling of our times. I have also been aware of this supermarket mark up of fruit and veg for the last few years - compare it with what we pay wholesale in the catering industry and you see why supermarkets are making such high returns. Along with that, however, is the high level of wastage which supermarkets have with fruit and veg - this is all incorporated into the high prices. 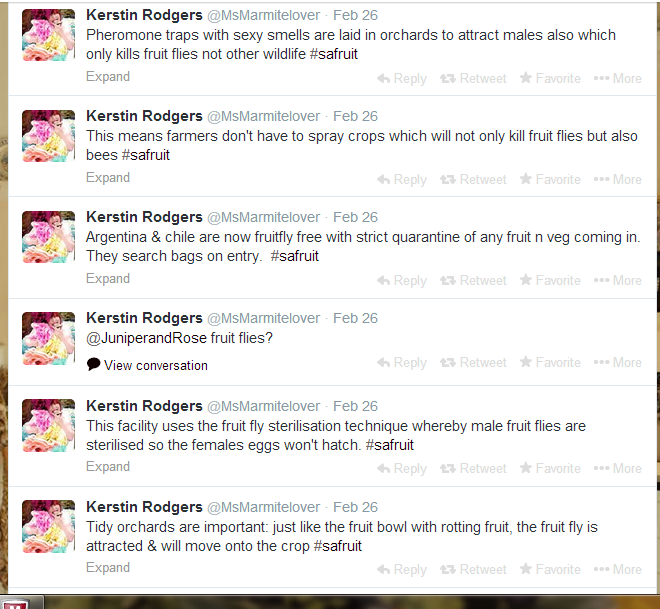 I liked the scientists' answer to the fruit fly problem though - isn't technology amazing!? Amazing to think of the industry behind the food you eat ain't it! ?